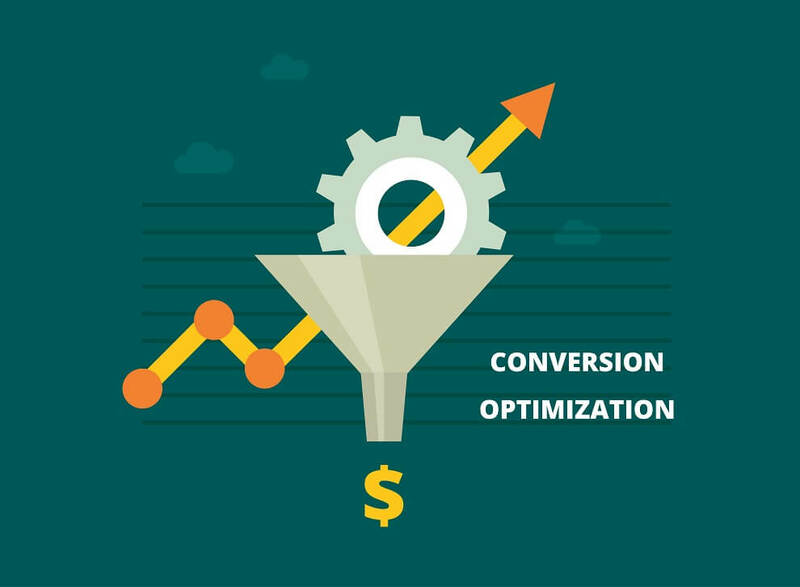 CRO: Why Conversion Rate Optimization Needs to Be Your New M.O. What is the one number that defines how effective your marketing is? It’s not the amount of sales you make. It’s not the amount of cash you bring in. The actual number is simple. It’s known as your conversion rate. Simply put, your conversion rate is how often that potential clients and website visitors who become actual leads in your system. In brick-and-mortar terms, your conversion rate is the ratio of total customers walking through your doors to the total customers who take a desired action, like making a purchase. More importantly, your conversion rate has a direct impact on your bottom line. If you spend money on marketing your mortgage, real estate, or insurance business, you need to measure exactly how much of that money is flowing back your way in return. When you measure your conversion rate, you get a better handle on just how effective your marketing actually is. There’s just one question remaining. Let’s think about your marketing in new terms. Your cost per acquisition is an important number—but this is a number you’ll want to shrink. Think about it this way: if you close two big loans after spending $1,000 marketing dollars, that’s your conversion rate. If you close four big loans, you’ve doubled your conversion rate. Yet when you measure your cost per acquisition—the amount of money required to close a loan—it actually shrunk from $500 to $250. Expand your business by spending more money. If your cost per acquisition stays the same, you can spend more money to make more money. Expand your business by improving your conversion rate. The more often you convert for the same amount of money, the more your business can expand—without expanding the bottom line/marketing spend. There are a lot of aspects to your web presence that impact your conversion rate. The disadvantage of this is that it’s difficult to figure out where to start. The advantage? Lots of room for improvement. Adding call-to-action (CTA) headlines and buttons to your website home page and subpages. Bringing important conversion elements “above the fold” on your website. For example, if you have a contact form you want people to fill out, don’t make them scroll to find it. Put it up top, front and center. Add arrows pointing out your CTA items. Spice up your sales copy. For example, write copy that focuses on their. Write copy that emphasizes how much they can achieve right now. Add some reviews of your services from real people, including photographs. This ups your credibility and shows that you’ve helped real people in the past. Make sure that your CTA is highly visible and contrasts easily with the surrounding colors. Don’t be afraid to test different colors to see if it has an impact. Offer a bonus in exchange for a conversion. For example, in exchange for someone signing up to a newsletter, you might offer a free eBook guide to buying a home in 2017. Simplify your copy. If there’s too much industry jargon, clean it out. Keep your sentences short and your words clear. Play around with the length of your page. You never know if shorter pages or longer pages are going to work until you test them both. Remove any clutter that doesn’t have to do with making the conversion. It can distract from your central theme. Simply going through your current landing pages, website, direct mailers, newsletters, etc. and making a few tweaks can have a tremendous impact on your conversion rates and sales numbers. But if you really want to give it a boost, you should focus on one of the most important elements on your site: the call-to-action. A call-to-action is simple: it’s a headline, button, or a link that you use on your page, inviting a lead to take action. Whatever that action is—whether it’s requesting a 1:1 consultation, contacting you about a home purchase, or signing up for a newsletter—your goal is to increase the rate at which online visitors click this button. Make it visible. Is your call-to-action above the fold? Does it contrast with the background of your site? Is it large enough? If you can’t answer “yes” to all of these, then you have a little bit of work to do. Incorporate other design elements. One of the best ways to call attention to the CTA is simple: you place a big arrow in front of it. This can be as simple as editing the file and fitting it to the right place on your website. Make the call-to-action about them. Put yourself in the client’s shoes for a moment. What is it that they’re trying to get out of this experience? What is it that you can give them that would make them want to click? This is the essential question behind a quality call-to-action. Write the call-to-action from their perspective. A call-to-action that says “Apply Now” just doesn’t resonate the same way “Tell Me What I Qualify For!” does. Remember, you have to put yourself in the potential lead’s shoes. Make your call-to-action as urgent as possible. If your call-to-action suggests that they have all day long and all year long to wait to make a decision… it’s probably not going to get clicked. You should try to create a sense of urgency that clicking this call-to-action is going to solve their problem immediately. Throughout your conversion rate optimization efforts, you’ll want to focus on creating a consistent message. That means that your website, your call-to-action, your sales copy, your web design—it should all communicate the same idea: that they need to take action now and that by clicking with you, they’re going to do just that. You don’t want to write sales copy that says they have all year long to make a decision and then place a call-to-action that contradicts that idea. Once you’ve gone through the tips in this post, scan over all of your content and marketing design again—just to make sure it’s all consistent. 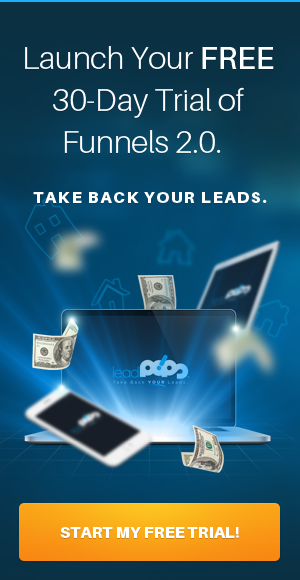 The more consistent your message, the better a chance you’ll have at converting potential clients into genuine leads. This will reduce your cost per acquisition and increase your marketing capabilities—even if you aren’t investing more money in your marketing. 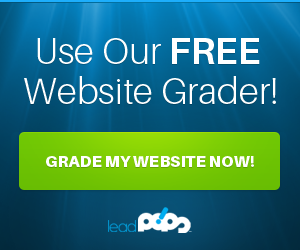 For a new way to look at your marketing online, sign up for a Free Trial of leadPops today and take advantage of all of the tips you just read right away.